The majority of domestic violence cases are charged as misdemeanors. However, if a deadly weapon is involved in the incident or the victim was seriously injured then Arizona will charge the matter as a felony. Also, a third domestic violence charge in a seven year period will always be charged as felony aggravated domestic violence. A conviction will result in heavy fines, time in prison, a permanent criminal record, and the permanent loss of the right to own a firearm. A conviction of this nature can permanently affect one’s ability to find employment, obtain a loan, and find housing. If you face these accusations it is important to hire an attorney who will aggressively protect your rights. Phoenix criminal defense lawyer Bretton Barber aggressively defends the rights of the accused. Call today to schedule a consultation. 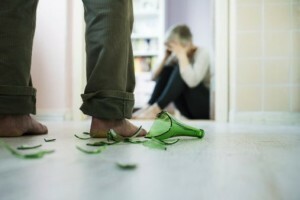 Felony domestic violence is often a form of aggravated assault. Arizona charges this crime as a class three felony and it carries a sentence of five to fifteen years in prison. It can also result in one losing custody of their children, as well as ending a career in law enforcement, private security, or the military. These matters will typically begin with the prosecution filing a criminal complaint, in Superior Court, shortly after the initial arrest. A preliminary hearing will be held at which the Justice of the Peace will decide whether there is probable cause to charge the accused as a felon. Trial will be held, within 180 days, if the accused is out of custody and asserts their speedy trial rights. It is crucial that you obtain legal representation for this process. Bretton is a defense lawyer who believes everyone has the right to a fair process. He will immediately obtain all arrest reports, witness statements, and photos taken of the victim. He will visit the scene of the incident, interview any additional witnesses, and look at other facts. If statements were made to the police, or physical evidence was obtained, then he will file the necessary Motions under the Fourth and Fifth Amendments to the United States Constitution. He will ensure that you are adequately prepared for trial and that you know what to expect from the process. Call our attorney today. In addition to Phoenix we represent defendants in other Maricopa County cities such as Mesa, Glendale, Scottsdale, Chandler, and Gilbert. We also assist Pima County residents in Tucson. Once a Phoenix, Arizona resident has been convicted domestic violence, even of a misdemeanor, then each subsequent arrest will carry an increased punishment. This can increase the possibility of false claims against those who are in tumultuous relationships. Bretton understands that once a person has been convicted of a violent offense then it can be more difficult for a person to prove their innocence. He defends the rights of those accused of repeat offenses and will ensure that your past does not give you an unfair stigma. Call our office today. We are also able to assist with the additional charges which often accompany an aggravated domestic violence case. These include gun charges, kidnapping, stalking, harassment and others.